China will link its stock market to London this year. China will create a direct link between its top stock market and London by the end of 2018, the latest sign that Beijing is opening its doors to more foreign investment. Yi Gang, governor of the People's Bank of China, confirmed the timetable for the London-Shanghai Stock Connect in a speech on Wednesday. The project is modeled on mechanisms that already link Hong Kong's market to exchanges in Shanghai and Shenzhen. But a connection to London would be the first outside greater China. UK Treasury boss Philip Hammond described the link as a "landmark venture between two of the world's largest stock exchanges." "When it begins trading this year, it will provide UK businesses, savers and investors with unique access to exciting new investment opportunities in China," Hammond said in a statement. The link should make it much easier for global investors to buy shares in Shanghai. "It will allow global investors to benefit from China's growth through London, while UK listed companies will be able to access Chinese investors directly," said Nikhil Rathi, CEO of the London Stock Exchange. Yi was speaking just one day after President Xi Jinping said that his government plans to "significantly lower" tariffs on imported cars this year. Xi billed the planned cut in vehicle tariffs and a series of other measures as "a new phase of opening up." But many of the steps he outlined are ones Beijing has already proposed in some form. 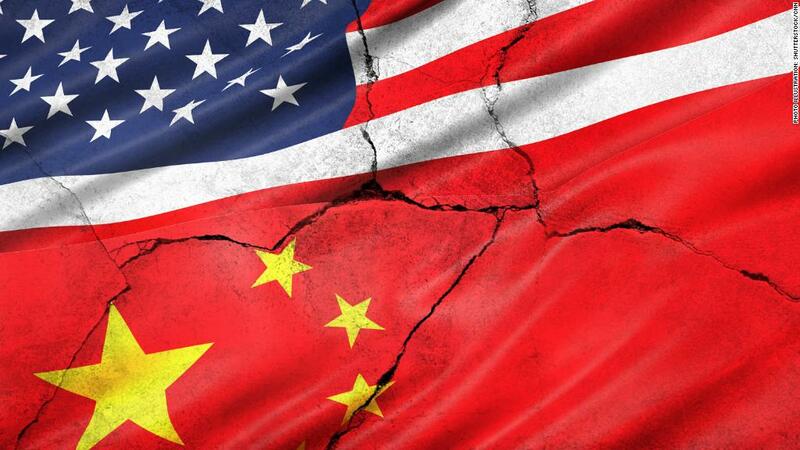 Chinese state media reported that Yi, the central banker, said Wednesday that Beijing would soon ease restrictions that limit foreign ownership of local Chinese banks and investment companies. Yi also said the limit on stocks traded between Hong Kong and Shanghai would be raised substantially. The Hong Kong Stock Exchange said in January that international and Hong Kong based investors now hold 600 billion yuan ($95 billion) worth of Chinese shares thanks to the connection between the two markets. Investors in mainland China, meanwhile, have snapped up over 1 trillion Hong Kong dollars ($127 billion) in stocks listed in Hong Kong since the trading started in 2014, the exchange said in a statement.